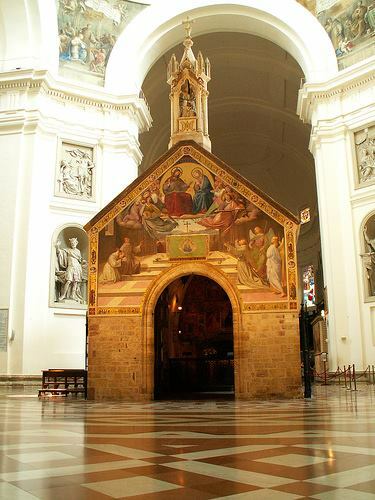 As we celebrated the 800th Anniversary of the granting of the Portiuncula Indulgence, the Pardon of Assisi, Michael Perry, OFM, our Minister General, reflects on what it means to experience mercy and to live in mercy. “When he asked the Pope for an extraordinary indulgence for the little church of the Portiuncula, St Francis found a new means of celebrating Gods’ abundant forgiveness and mercy towards us. We can take up and deepen the beautiful definition of indulgence which Pope Francis has given in Misericordiae vultus, when he describes it as “indulgence on the part of the Father who, through the Bride of Christ, his Church, reaches the pardoned sinner and frees him from every residue left by the consequences of sin, enabling him to act with charity, to grow in love rather than to fall back into sin.” (MV 22). Whenever we receive this amazing indulgence of the Father through the Church, we too experience an outpouring of mercy, and this allows us to become more capable of compassion and reconciliation in real life situations. We can see wonderful examples of this creative ability to promote peace and reconciliation in the life of Francis. The episode at the end of his life, when he reconciled the Civil Authority (Podestà) and the Bishop of Assisi, comes to mind. He did this by singing his Canticle of Brother Sun, with the addition of a verse on forgiveness. 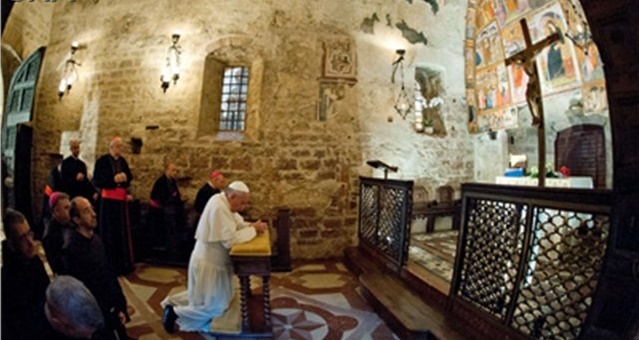 An early biographer writes at the beginning of this story that Francis told his companions: “It is a great shame for you, servants of God, that the bishop and the podestà hate one another in this way, and that there is no one intervening for peace and harmony between them.”(Assisi Compilation, 84). Francis does not assume that this is an issue of no concern to him; he has a sense of shame because no one has intervened in order to restore peace. I wonder whether we too feel some shame because no one intervenes in the conflicts of our time? How much responsibility do we feel, as Francis did, to bring about peace and reconciliation? To do this above all in our own fraternities, when there are divisions, but also in regard to the political, religious, economic, and social conflicts of our time? May this centenary help us to experience a “healthy shame” because of the lack of those strongly committed to working for peace and harmony in the conflictual realities in which we live. May it help us grow in our creative abilities to find new ways to sing a song that the men and women of our time can relate to. 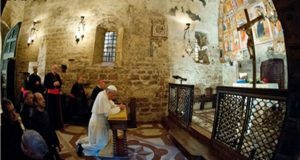 Pope Francis in the little chapel in Assisi.